2001 - 2006 Acura MDX. Genuine OEM Acura Power Steering Pump Reservoir Cap. Power Steering Reservoir. The reservoir cap is sold separate. Power Steering Fluid. For 19 99-2004 Acura CL MDX TL 3.2L V6 Auto. 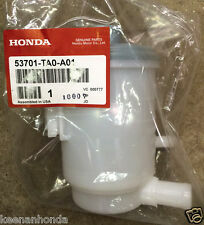 For 2004 Honda Pilot 3.5L V6 Auto. High quality direct fit OE style power steering pump. Install a FILTER to prolong pump service life. Remove and install pump pulley using proper tools and procedures. 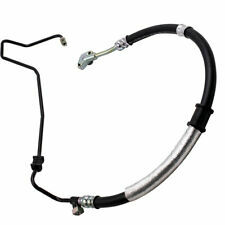 Power Steering Pressure Line Hose 7x24 hours, always here for you. What do I do if my product is faulty?. What do I do if I have not received my order?. When will my order be dispatched?. Male Captive O-Ring：18 mm. 57100-2D100, 57100 2D100, 571002D100. 2003 - 2008 for Hyundai Tiburon 2.0L Engine. 2001 for Hyundai Elantra All Models. 2002 - 2004 for Hyundai Elantra GLS Models. 2005 for Hyundai Elantra GLS Models - Sedan. SB CHEVY 283 305 327 350 383 400. FITS ALL SB CHEVY ENGINES 283 305 327 350 383 400 WITH LONG OR SHORT WATER PUMP. BRACKET KIT CAN BE MOUNTED WITH THE BRACKET ON TOP OR ACROSS THE POWER STEERING PUMP (SEE PIC OF INSTRUCTIONS). You must have 2 bolt holes on the lower drivers side of the block. For all GEN I Small Block Chevy. Designed for both long and short water pump. Product Description 100% Brand New Items, Never Used Or Installed Precise quality specifications Meet or exceed precise quality specifications NO instruction incluing Fitment Please confirm the item if it matches your vehicle before you purchase Package Includes As the picture shown Brand Unbranded Manufacturer Part Number 21-5441 Warranty Yes Fitment Type Direct Replacement Interchange Part Number 56110RDAA01 Material iron UPC Does not apply. 56100RAAA01, 56100-RAA-A01, 56100RAAA01RM, 56100-RAA-A01RM, 56110RAAA01, 56110-RAA-A01, 56110-PND-003. Fits models with L4 2.4L Engine only. Applications For. Oxygen Sensor. Starter Motor. Engine Motor. TITLE:Aluminum Breather Tank. RPM range is oftenly used, and this increases the oil level inside the power steering tank. Under such conditions, the. power steering pump works at high RPM. These air bubbles expand to the entire power steering system when high. 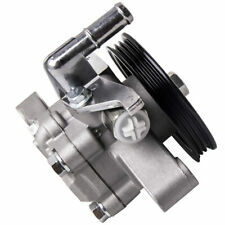 High quality direct fit OE style power steering pump. Install a FILTER to prolong pump service life. Remove and install pump pulley using proper tools and procedures. If noisy operation persists or fluid stays foamy, a restriction in the system may be the cause. This kind of amplifier is characteristic with a performance which is directly proportional to the frequency of rotation of the crankshaft, which is contrary to the real needs of the power steering (at maximum speed is necessary a minimum gain coefficient, and vice versa). BLACK POWER STEERING PUMP BRACKET FOR SB CHEVY WITH LONG OR SHORT WATER PUMP. SB CHEVY 283 305 327 350 383 400. FITS ALL SB CHEVY ENGINES 283 305 327 350 383 400 WITH LONG OR SHORT WATER PUMP. BLACK CHEVY POWER STEERING PUMP BRACKET. Complete Coilover Kits For Honda Civic 88-91 Acura Integra 90-93 Shock Absorbers. MSR Coilover Kits For Honda Civic 88-91 90-93 Acura Integra Adjustable Height. MSR Coilovers For Honda Civic 88-91 90-93 Acura Integra Adj. Damper Kits Grey. Applications: For 2006-2011 Chevrolet Impala 3.5L 3490CC 213Cu. In. V6 FLEX OHV For 2006-2010 Chevrolet Impala 3.5L 3490CC 213Cu. In. V6 GAS OHV For 2008-2011 Chevrolet Impala 3.9L 3880CC 237Cu. In. V6 FLEX OHV For 2006-2007 Chevrolet Impala 3.9L 3880CC 237Cu. In. V6 GAS OHV For 2006-2007 Chevrolet Monte Carlo 3.5L 3490CC 213Cu. In. V6 FLEX OHV For 2006-2007 Chevrolet Monte Carlo 3.5L 3490CC 213Cu. In. V6 GAS OHV For 2006 Chevrolet Monte Carlo 3.9L 3880CC 237Cu. In. V6 GAS OHV . Built for durability and strength. Our goal is to make sure that you can find exactly what you are looking for and make it easy for you to place your orders. If you need further assembly instructions for a product. 2004 2005 2006 2007 2008 Acura TSX 2.4L L4. 2005 2006 2007 2008 Acura RL 3.5L V6. 2009 2010 2011 2012 Acura RL 3.7L V6 SOHC. 2004 2005 2006 2007 2008 Acura TL 3.2L V6. 2007 2008 Acura TL 3.5L V6. 1 X Power Steering Pump Reservoir with cap. Product Description 100% Brand new, never been used BRAND NEW BMW AFTERMARKET REPLACEMENT POWER STEERING PRESSURE HOSE FROM PUMP TO RACK FOR 1999-2006 E46 3 SERIES BMW MODELS 323 325 328 330 3241 6774 215 DORMAN # 979-003 EDLEMAN # 92319 GATES # 365715 Professional installation is highly recommended(No instruction included)​ Fitment: 1999-2006 BMW E46 323 325 328 330 32416774215（Not fit 2002 BMW 330Ci） Package Includes. 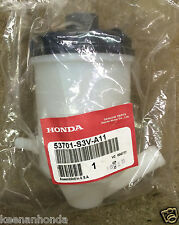 Product Description 100% Brand new, never been used Made of the High Quality Part Number: 53713-S84-A02 Professional installation is highly recommended(No instruction included)​ Fitment 1998-2002 Honda Accord 2.3L Please confirm the item whether matches your vehicle in the compatibility table before purchase​ Package Includes. For Honda ACURA RSX 2002-2006. for Honda ACURA TSX 2006-2008. for Honda CR-V 2002-2011. Coilover Suspension Struts for Honda Acura 90-93 Civic 88-91 Adjustable Height. Coilover Kits For Honda Acura Integra 94-01 Civic 92-95 Del Sol 93-97 Adj Height. 2003 - 2008 for Hyundai Tiburon 2.0L Engine. 2001 for Hyundai Elantra All Models. 2002 - 2004 for Hyundai Elantra GLS Models. 2005 for Hyundai Elantra GLS Models - Sedan. 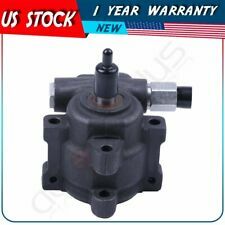 New Honda Civic Power Steering Pump Coupe & Sedan 2001-2005 1.7L SOHC. OEM Top Quality # 56100-PLA-033RM / 56110PLA023RM. Applications: For 2002-2005 Jeep Liberty 2.4L 148Cu. In. l4 GAS DOHC For 2005-2006 Jeep Liberty 2.8L 2768CC 171Cu. In. l4 DIESEL DOHC For 2002-2006 Jeep Liberty 3.7L 226Cu. In. V6 GAS SOHC For 2006 Jeep Liberty 3.7L 3701CC 226Cu. In. V6 GAS SOHC Package Included: 1 * Power Steering Pump With Reservoir Additional Information: . Honda Acura Power Steering Pump 8 Piece Seal Kit. Civic 1992-1995. Acura CL 1998-1999 2.3L. This kit is an affordable solution to a common problem. Installed or Altered Parts. Need a Genuine Subaru Power Steering Pump Reseal kit for your Subaru Impreza wrx. 2002-2003 Subaru WRX. Should the item fail during the warranty period, there is no need to send it back unless you want to. LOW PRESSURE LINE INCLUDED - POWER STEERING EXPERTS!!! !